We feel we must bring you new developments that we hope will positively entice members of the marine community to bring back/continue calling to Egyptian ports. 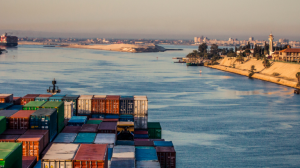 The General Authority for the Suez Canal Economic Zone has now amended their decree No. 127/2017 by amending and issuing the decree No.121/2018 which aims at reducing the port dues for the vessels calling Port Said East and West ports for both containers and Ro-Ro vessels. We have prepared a translation of both decrees bearing in mind that the new decree No. 121/2018 has amended the earlier decree and it has already come into force.